Both the victim Shivaji Shinde (45), a head constable at the local crime branch, and accused Pulja Singh Thakur lived in Datta Nagar area under the Shivaji Nagar police station limits, a senior police official said. 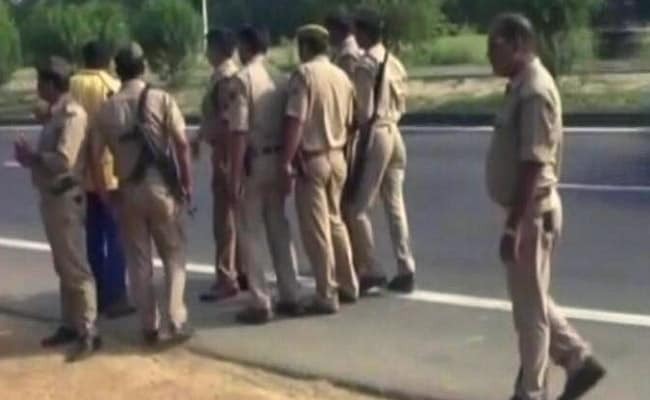 Nanded, Maharashtra: A 42-year-old man, facing criminal cases, allegedly killed a police official in a gruesome manner in Maharashtra's Nanded on Sunday, suspecting that the latter was responsible for his arrests in the past. Earlier, four cases were registered against Thakur at various police stations. According to the officer, Thakur, who was out on bail, was suspicious that Mr Shinde was responsible for his arrests in the past. On Sunday morning Mr Shinde had gone to a laundry shop where Thakur confronted him after which the two had heated arguments. The arguments took a nasty turn, when Thakur picked up a stone lying nearby and hit constable Shinde's head multiple times, the officer said. Shivaji Shinde was killed on the spot. A murder case was registered and efforts are on to catch the accused, the officer added.